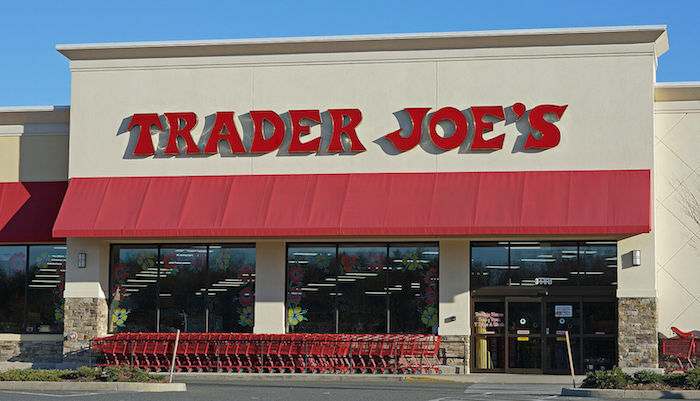 Longtime readers of this blog will know I’m a big fan of Trader Joe’s. (Here, for example, is my risotto recipe which uses ingredients that are all sourced from TJ’s.) Which is why, when I learned about the newest edition of the Freakonomics podcast featuring TJ’s (h/t BC) I gave it a listen on a recent drive to Phoenix. I’d like to open a new kind of grocery store. We’re not going to have any branded items. It’s all going to be private label. We’re going to have no television advertising and no social media whatsoever. We’re never going to have anything on sale. We’re not going to accept coupons. We’ll have no loyalty card. We won’t have a circular that appears in the Sunday newspaper. We’ll have no self-checkout. We won’t have wide aisles or big parking lots. Would you invest in my company? Of course, the expected response from students is there is no way anyone would invest in such a stupid idea. Roberto then tells everyone that such a business already exists in the form of Trader Joe’s and that it is absolutely crushing the competition. That’s because not only are their sales per square foot an industry best by a long margin (Business Insider), but it’s also ranked among the best American companies to work for. Do what it takes to makes customers feel appreciated and wanted. Although worth listening to in its entirety, one aspect of Trader Joe’s that isn’t captured in the Freakonomics podcast is how its focus on their core values influences their growth. Imagine that, a CEO who won’t grow his company until he’s convinced that he’s got the right people on board to serve its mission, values, and customers. Indeed, with a mindset like that, it’s little wonder customers line up around the block when stores first appear in their community (Naples Daily News). Over the last 60 years, they’ve only had three CEOs. In place of corporate budgeting, they simply ask each store to do a little better each year. They don’t use analytics to target, segment, or track its customers. As to the music, here then is Edward Sharpe & The Magnetic Zeros with their upbeat feel-good song “40 Day Dream.” The video (of the song) is the third installment of their movie musical called “Salvo!” which arose out of their 2009 album Up from Below. Hope you like it.